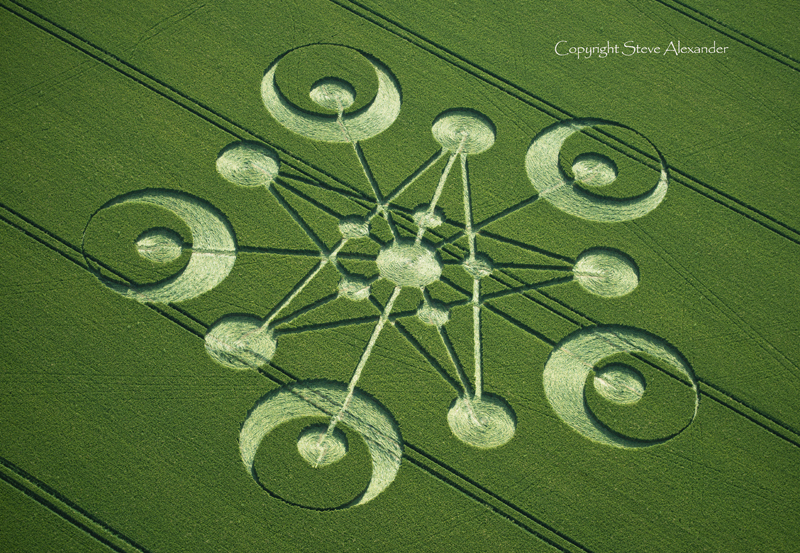 This is another formation to occur in the county of Dorset in 2014. 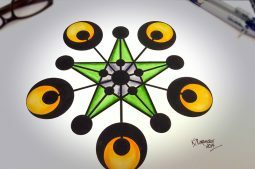 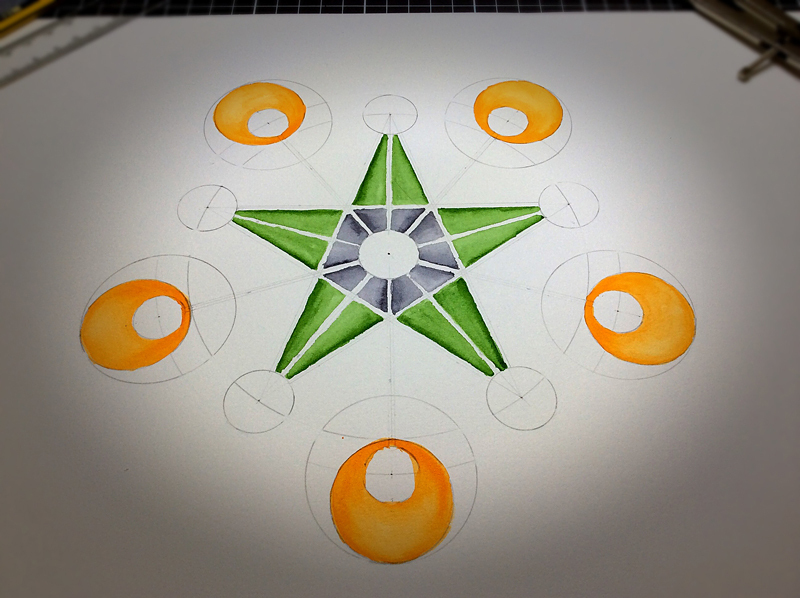 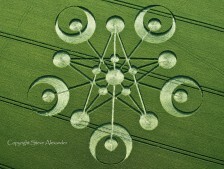 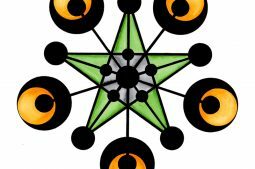 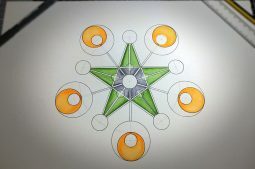 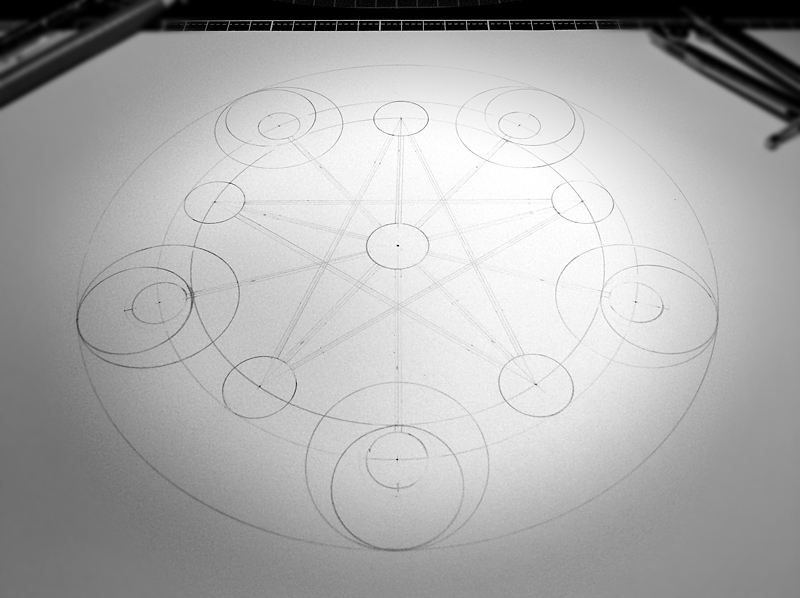 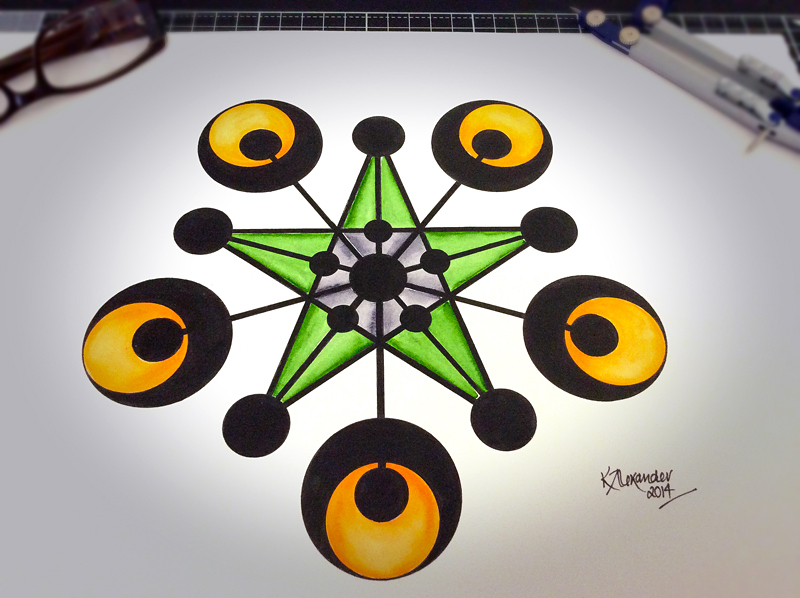 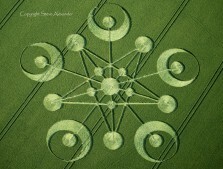 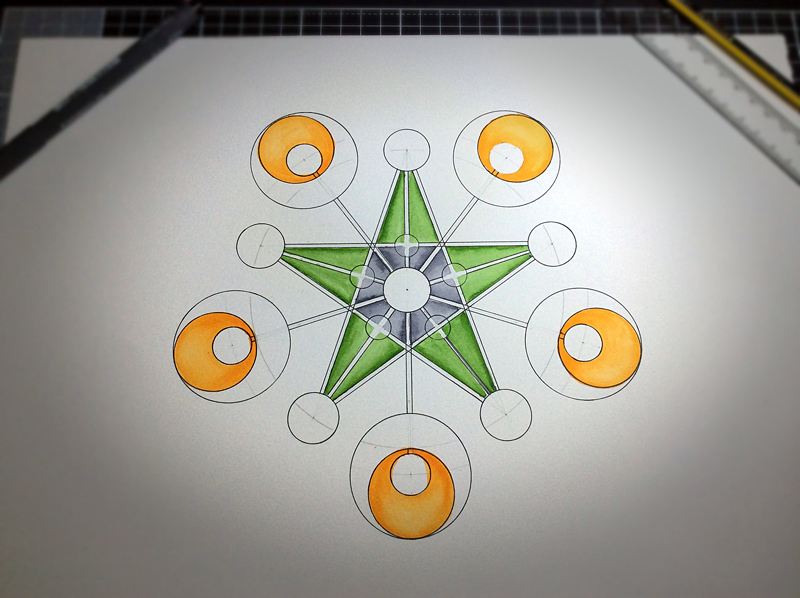 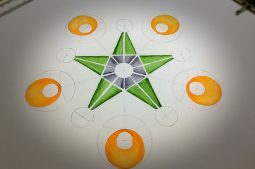 A huge five-fold design; a central pentagram with radiating crescent moons, circles and multiple pathways. 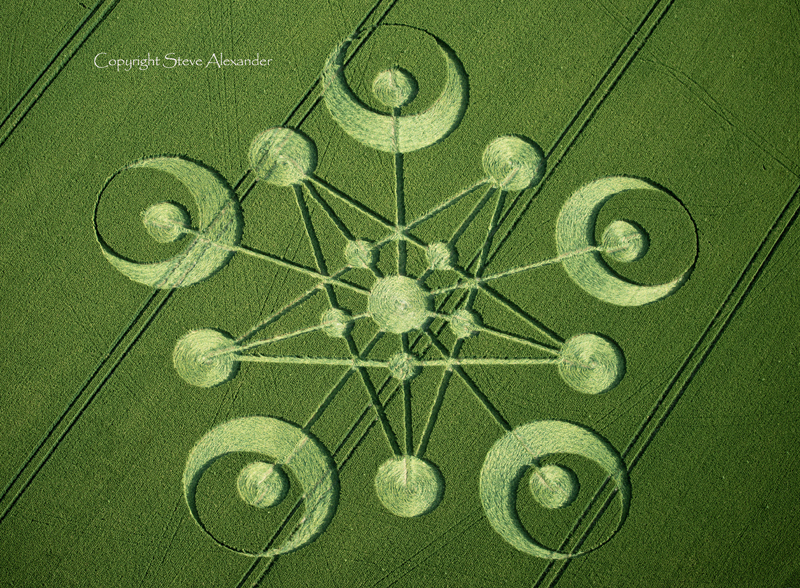 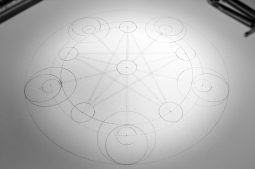 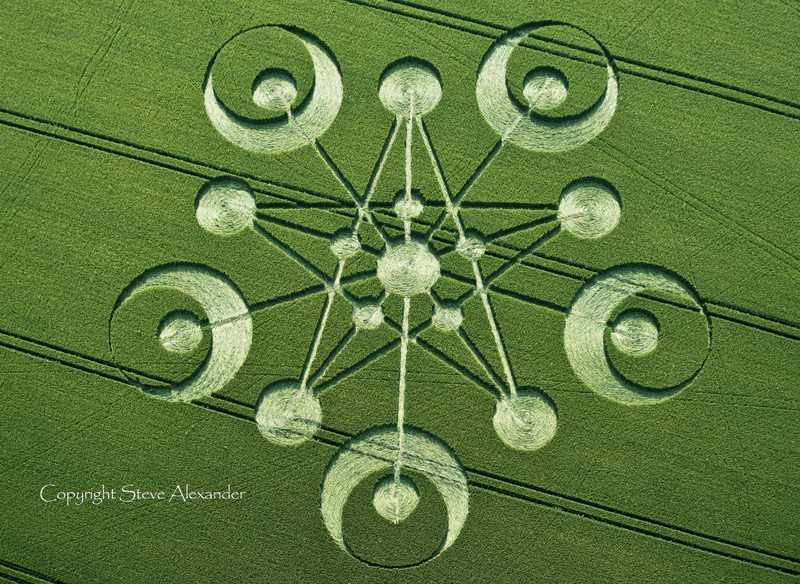 The pentagram star (linked to the movements of venus) added to the crescent moons seems to cut a powerfully feminine character to this crop circle. 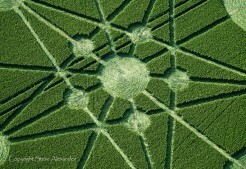 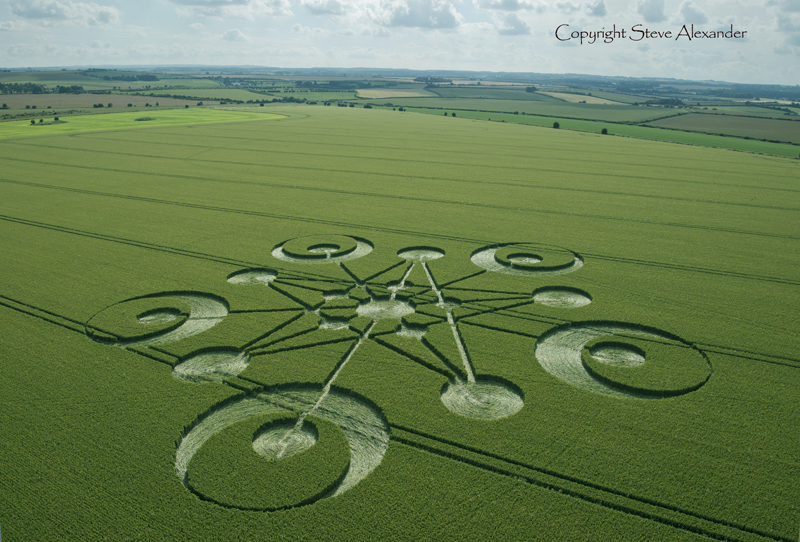 If you look closely in the background of some of these images you will see several round barrows in the landscape, illustrating once again the connection between many of the crop circles and the ancient landscape. 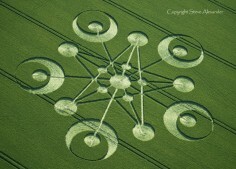 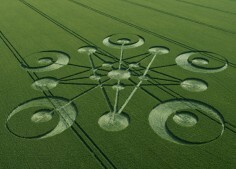 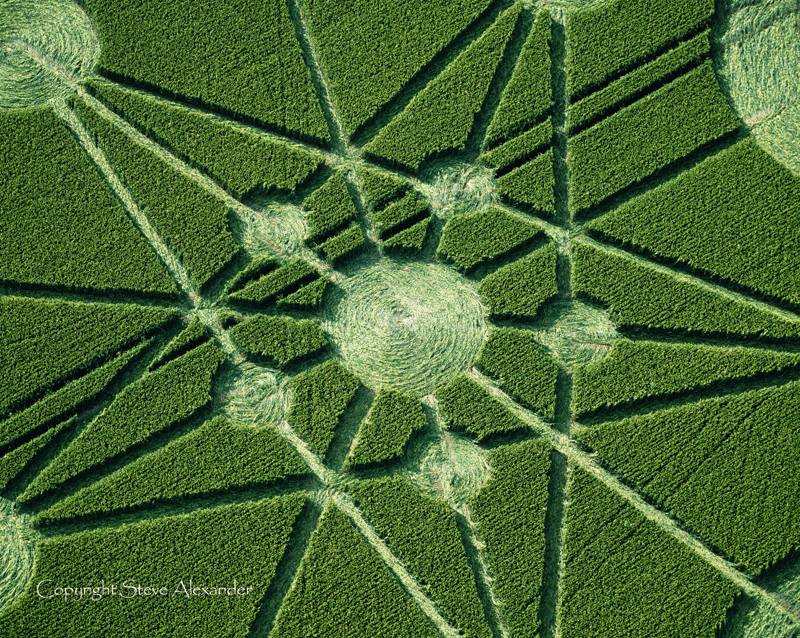 This was a beautiful location, the crop circle was set in a huge field, in a relatively unpopulated area. 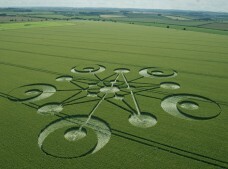 The farmer showed great generosity and allowed visitors to the field for a number of weeks before closing it just before harvest. 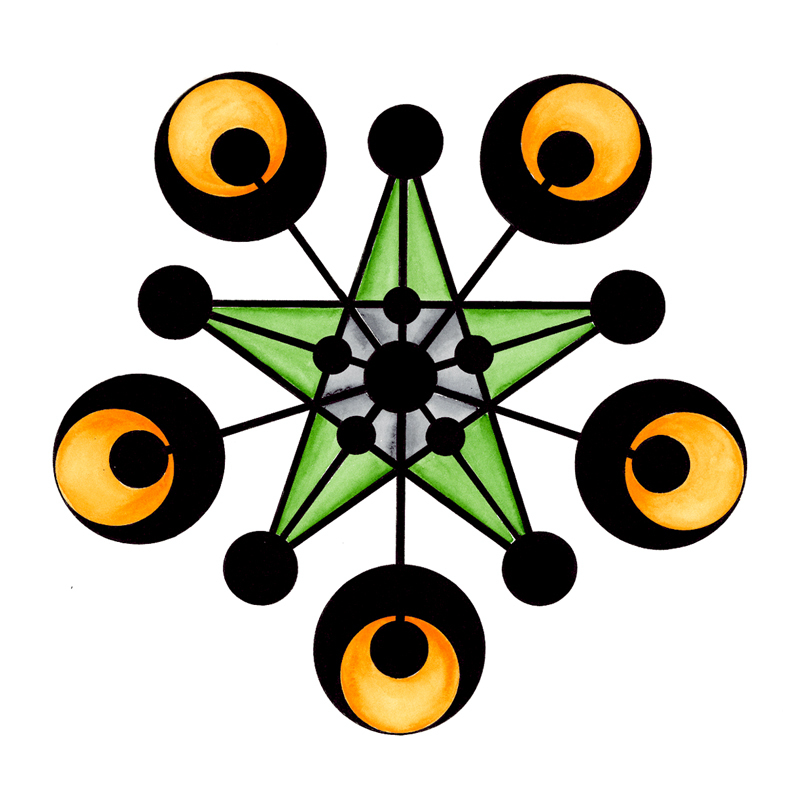 Donations were collected and given to charity. 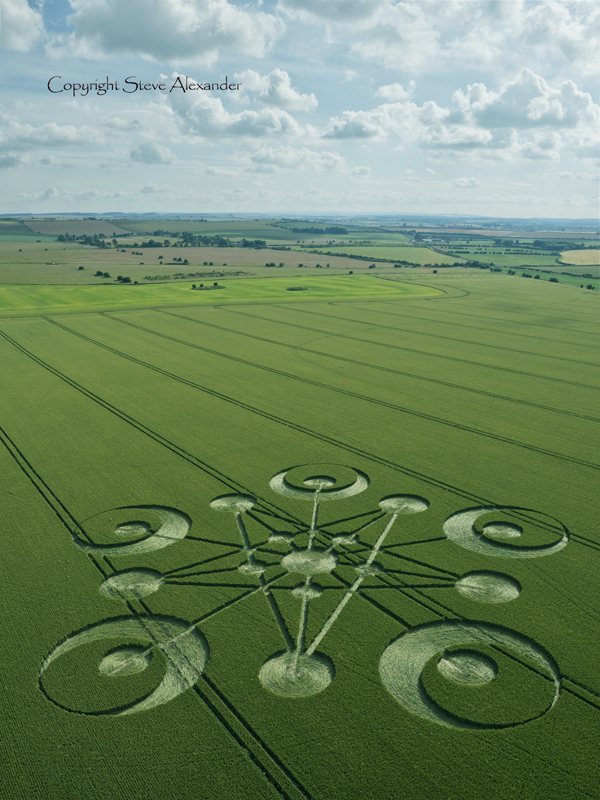 This exchange of mutually beneficial generosity on behalf of the farming community and crop circle visitors is a wonderful example of how people can come together in a spirit of kindness, compassion and public-spiritedness.